Check out the latest news on reading in the media. 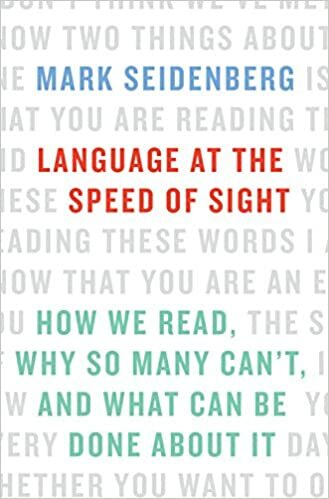 Mark S. Seidenberg, Vilas Research Professor and Donald O. Hebb Professor at the University of Wisconsin-Madison, continues his commitment to using science to inform educational practice in his most recent book. Preorders for a January, 2017 publication are available on many sites. 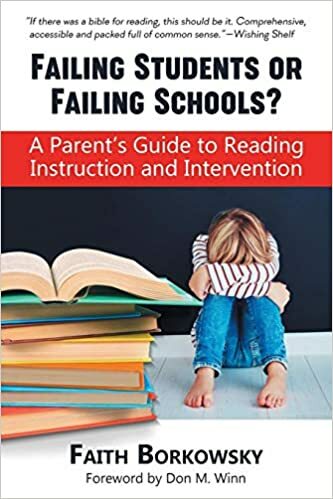 I discovered a fundamental disconnect between what the research recommended, and what normally happened in classrooms. When it came to meeting the needs of at-risk children, mixed messages seemed to abound. I decided to conduct my own exploration into the matter in the hope of discovering a coherent message about which all reading practitioners might unite. Click here to read more about the Eides' theory for the positive potential of dyslexia. Philip Schultz, Pulitzer Prize winner for poetry, has written a memoir about discovering his dyslexia. Click here for purchase information. Cheryl Ward, President of the Wisconsin Branch of the International Dyslexia Association, provides information on dyslexia in an interview on Madison's WKOW television station, October 1, 2011. The Today Show ran a segment on November 2, 2010 debunking the claims of the video/flashcard product "Your Baby Can Read." NBC reporters talked with ten national reading experts from institutions such as Harvard, Tufts, New York University, and Yale, all of whom disputed the claims of this product. The developer, Dr. Robert Titzer, claims "They're all wrong." Dr. Maryanne Wolf, director of cognitive neuroscience at Tufts University: “It’s an extraordinary manipulation of facts." Dr. Karen Hopkins, developmental pediatrician at New York University's Langone Medical Center: “I think it’s misleading. I think it’s false, and I think it raises false expectations." Filmmaker Bob Bowdon was interviewed on MSNBC's Morning Joe on April 27, 2010. The topic of discussion is Bowdon's documentary, The Cartel, which explores "what dedicated parents, committed teachers, clear-eyed officials, and tireless reformers are doing to make our schools better for our kids." May 21, 2010 press conference announcing the results of the 2009 Trial Urban District reading test. Dr. Ed: RTI: What's Working?